I just recently picked up some of the these interesting knitting looms to help make my holiday gift making go a little quicker. I have always wanted to learn to knit and I did purchase a set of knitting needles but what I was able to produce with those needles was an absolute disaster. A total mess. A monumental cataclysm. An unmentionable horror/abomination. ......I think you get the point. Not to mention I looked like a complete and total idiot while I attempted to learn the basic knit stitch. I just could not get the hang of holding two needles at the same time, I don't understand how people do it. I had one needle propped up under my arm while the other was flopping around, my stitches gliding off of the needle with so much ease that one would not believe they took almost as hour to put on. ....But I love the way knitting feels so I figured I would give this a try. 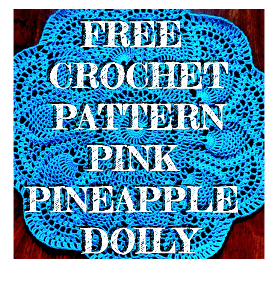 In honor of my new toys I decided to do a small pattern round up with some things I am excited to try and make on my new knitting looms. 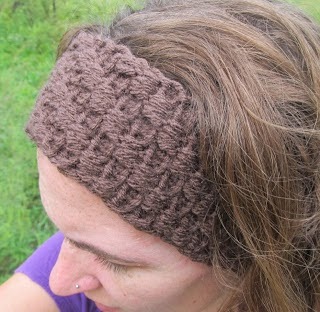 The stitch pattern on this headband is really unique and it doesn't even look quite like knitting. It is made entirely on a loom though. Using a round loom, this pattern can be made to fit any size head from infant to adult. She also describes a way to bind of that keeps your headband super stretchy. 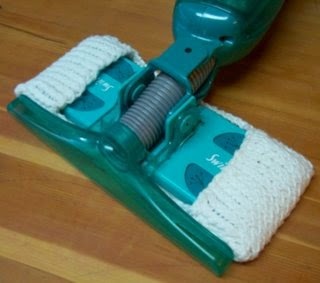 I love this idea and because loom knitting comes together so quickly, it really is economical to make up a bunch of these little Swiffer covers. The ones in the store that you through away are horrible for the environment because they end up in landfills and they cost so much money. Your basically throwing away your money. Making some of these up could save you hundreds over the course of a few years...depending on how often you use your Swiffer. So you made some T-Shirt yarn and have nothing to do with it. No ideas on a project to get all that tarn used up. 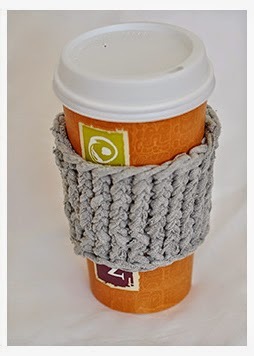 Look no further than this really cute coffee cup cozy. It only takes 1 T-Shirt to make this nifty little drink holder. You will be looking through your closet for more shirts to rip up. Pair this with a gift card to your favorite local coffee shop and give it away as a gift. This little sleeve takes no time to make. 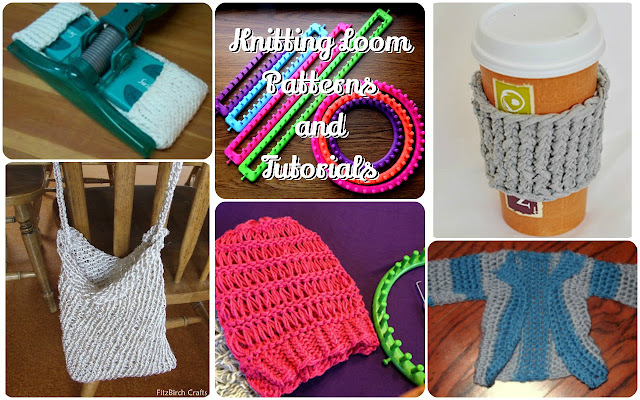 Use the extra small round loom for this project. I am in love with the open look of this hat. It almost looks like crocheted broom stick lace. It is made on your medium sized knitting loom. 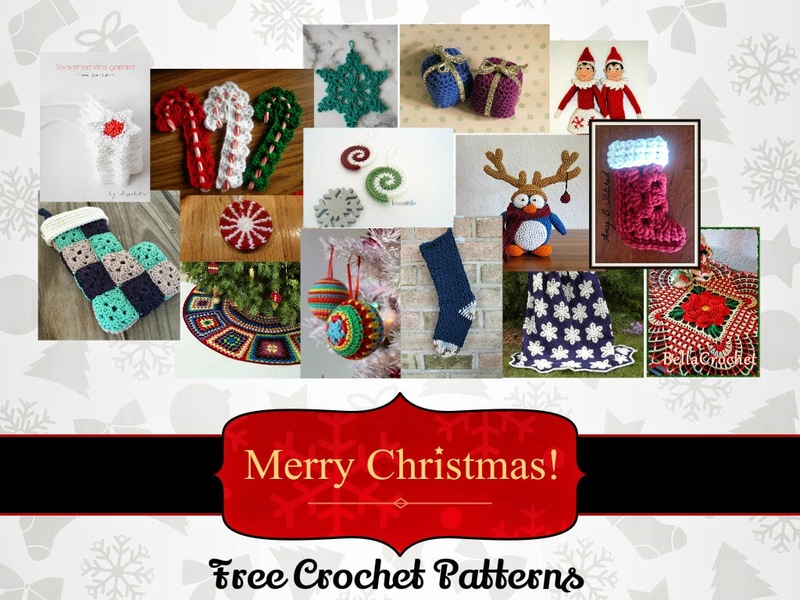 The pattern requires knowledge of e-wrap, purl, drop stitch and garter stitch. The pattern only uses 1 skein of yarn even though the yarn is double wrapped. It can be easily adjusted to fit any size head using a different sized loom than the one recommended. 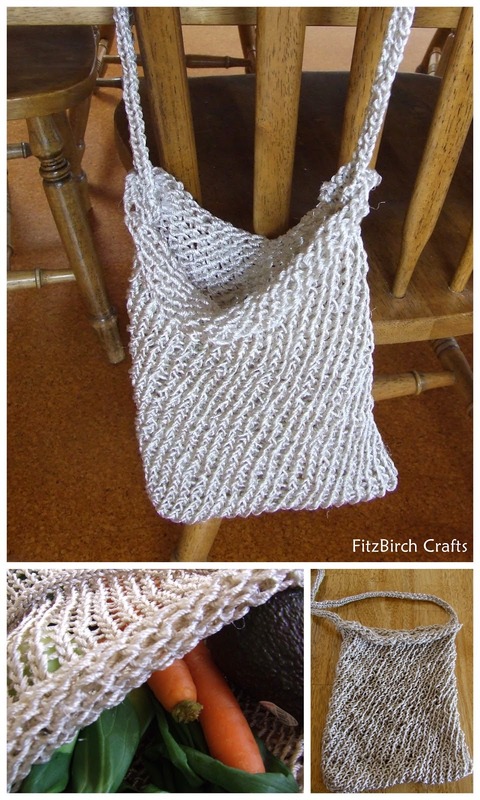 Everyone loves a market bag, this bag was made entirely on a loom including the handle. To reinforce the handle I recommend lining it with ribbon because it will be very stretchy once there is weight in the bag. I love the way this bag drapes. It is very slouchy. It is the perfect accessory next time you are out at the grocery store or your local farmer's market. When I originally looked into loom knitting I had no idea that you could make clothes but the more I look around on the internet, I am seeing a lot of clothes that can be made on a loom. I cannot wait to try out this really cute baby cardigan sweater. I don't know who I am going to give it to yet but I know I am going to be making it. The pattern is made in pieces and then all the pieces are sewn together. 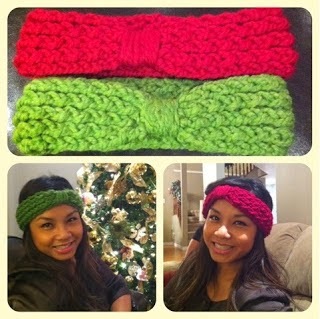 This head band is too cute and would make a great gift. This headband can be made on any size rectangle loom as long as it has 10 pegs. The tie in the middle gives it a really cute bow effect. The headband can easily be made wider if more pegs are used. Knitting on a loom creates a really stretch material that is great for headbands.